State Department says Washington will continue to pressure North Korea over its human rights abuses. 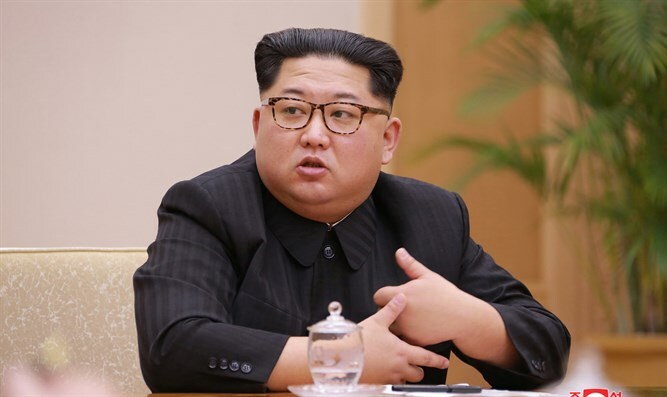 The United States is gravely concerned about human rights abuses in North Korea and will press for accountability for those responsible, the U.S. State Department said on Wednesday. “We remain gravely concerned and deeply troubled by these abuses. In tandem with the maximum pressure campaign, we will continue to press for accountability for those responsible,” the State Department said in a statement quoted by Reuters. The statement comes ahead of an expected summit between President Donald Trump and North Korean leader Kim Jong Un, to be held later this month or in June. Trump, who unexpectedly agreed to the summit with Kim in March, said on Saturday the meeting could take place within three or four weeks. The meeting was mostly expected to deal with North Korea’s nuclear program. Administration officials said last week that Trump will urge North Korea to act quickly to dismantle its nuclear arsenal when he meets Kim and is not willing to grant Pyongyang substantial sanctions relief in return for a freeze of its nuclear and missile tests. Kim last week met with South Korean President Moon Jae-and told him that he would close the country’s nuclear test site this month in full view of the outside world.